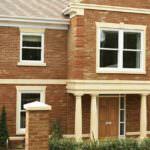 Our uPVC windows benefit from traditional design coupled with modern and advanced technology. Allowing your property to retain its character and charm you can choose from a wide range of styles, colours and hardware options to complement your London home perfectly. From traditional casement window styles, timeless flush sash profiles and modern bi-fold options, our uPVC windows created by a leading uPVC manufacturer are durable, incredibly secure and aesthetically pleasing. All of our uPVC windows are British made, with a lead-free profile. Because our uPVC windows are innovative in design, they are also far more thermally efficient than other uPVC windows currently available on the market. With a multi-chambered profile that retains heat and helps reduce energy bills, they are an excellent addition to any London home. Not only do they offer better aesthetics and insulation but at Arkay Windows, security is our priority with leading high security locking mechanisms inbuilt as standard to provide complete peace of mind and confidence in our uPVC window products. Take a look at our videos featuring our uPVC casement windows and tilt and turn profiles. You can get a feel for the look, style and design of the windows we have available. With such a wealth of choice and each uPVC window coming with a long list of features and benefits readily available for your London home or project, our windows suit a wide range of applications. If you’re unsure about the style you are looking for, we have a wide range of profiles for an array of purposes including casement windows, flush sash, tilt and turn, reversible, French windows, bow and bay and much more. We can help you find the perfect solution for your needs, creating unique and bespoke made uPVC windows. All of our windows are available with Pilkington Glass options, for both sculptured and chamfered profiles. This enables you to create a stunning finish with double or triple glazing options. Our full range of uPVC windows are exceptionally secure, adding a layer of protection to your home that puts your mind at ease about your family and London property being safe and sound. PAS14 tested to 2016 standards with high security locks inbuilt from a leading supplier as standard, our uPVC windows offer a level of security that is unrivalled. 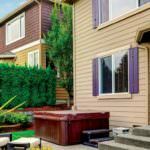 When you choose Arkay Windows you won’t ever have to compromise on form over functionality. We provide uPVC windows that are high performance, highly secure, thermally efficient and a delight on the eye. Select uPVC windows that exude sophistication and charm for any property type and surroundings. You can contact us today for a free quote for your uPVC windows. Whether you’re looking for your uPVC windows to be installed into a residential or commercial project, we can assist. Simply visit our contact page and fill out our online contact form. A member of our expert team will be able to answer any questions you may have. We are happy to recommend or advise on the most suitable products for your needs and requirements. 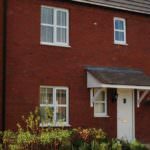 Our uPVC windows are incredibly secure with a robust and durable profile that has proven itself to be resilient and sturdy. Added to this is double or triple glazing that adds to the security and protects your London home or property from potential intruders and adverse weather conditions. All of our uPVC windows are inbuilt with high security locking systems as standard for the ultimate peace of mind. What uPVC window styles are there? We have a large range of uPVC window styles available depending on your property or project. Whether you own something traditional and timeless or something more modern and contemporary, we can help. Choose from a range of tilt and turn windows, French windows, bow and bay windows, casement, flush sash and much more. We can advise on the best solution for your exact needs. Are your uPVC Windows Energy Efficient? Yes! 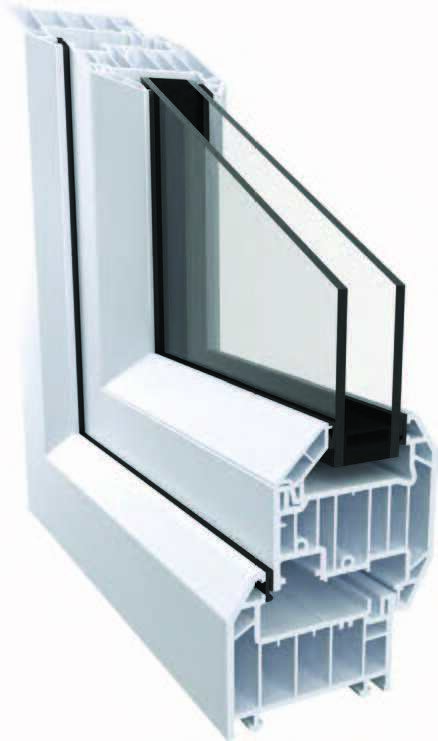 With our multi-chambered profile, patented co-extruded bubble gasket, glazing flipper and thermal dam our uPVC windows are able to achieve high energy ratings and excellent u-values. The symmetrical chambers minimise the transfer of heat from the inside of the property to the outside helping to minimise energy costs and to help regulate the property temperature. Accredited with both PAS 24 and achieving Secure by Design status, you can be assured you’re getting the highest of standards.